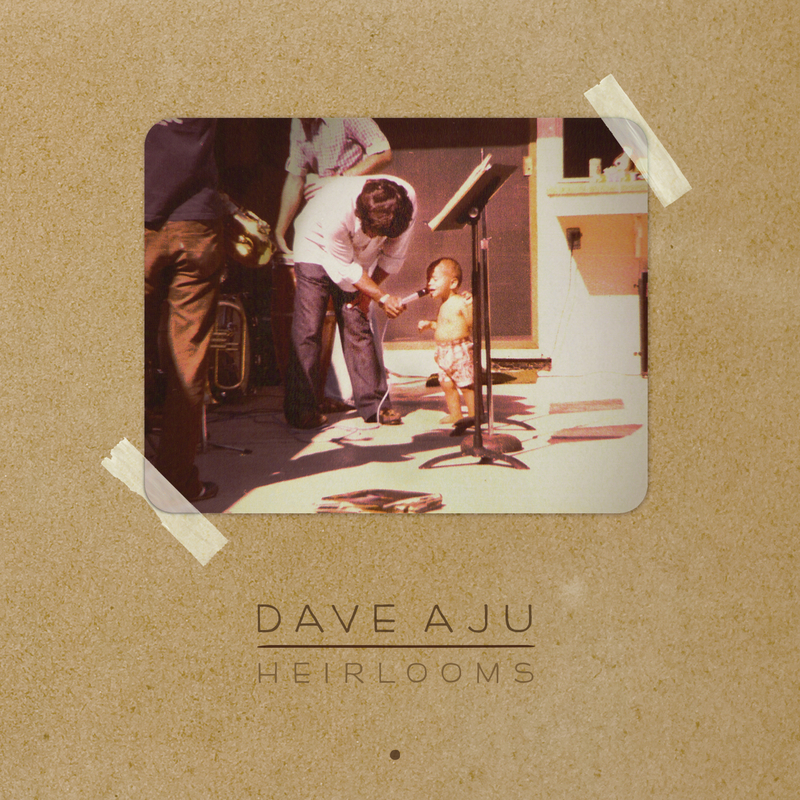 After a string of successful collaborations and remixes – including an ace one one of ours, Nicolas Jaar’s ‘Space Is Only Noise’, we are delighted to present Dave Aju’s sophomore album, Heirlooms. It’s always exciting to hear new music from Mr. Aju, as he consistently offers a fresh approach to the usual dance music formulas with an undeniable sense of soul and singular artistry. This is especially true on his new album, where Aju has really outdone himself with his most diverse, expressive, and personal work to date. Crafted with vintage recordings and instruments inherited from his late father, Aju taps into his roots and musical background more than ever on Heirlooms, taking us on a ten-song journey through past and present influences and a variety of moods, from proper heartfelt tributes to spaced-out bliss and straight-up funk. Dave Aju uses his distinctive voice, a fixture in his engaging live performances and DJ sets, in various ways throughout the album – from inspired songwriting in the uplifting cosmic opener ‘Rise’ and the beautiful end of ‘Revealing’, to memorable character lines in the raw deep house cut ‘Away Away’ and soaring choral notes on the bass-heavy beatdown vibe of ‘Until Then’. Plenty of collaborators also appear on the album, including The Invisible Art Trio who bring the same p-funk-meets-free-jazz voodoo on the hypnotic ‘To Be Free’ that made their previous track ‘Be Like The Sun’ such a treat. Some fellow Circus freaks also join in as Jaw from dOP finds himself co-conducting vocals on the boogie train of ‘Caller #7’ and Guillaume & The Coutu Dumonts lends a hand on the skins for the party-starting ode to tequila “Ms Reposado.” The Sol Percussion Ensemble, who last worked with Aju on his brilliant Two-Tone EP, also make an appearance on the irresistibly warm Brazilian-flavored jam ‘Brown & Blue’, while the club-approved ‘All Together Now’ shines as a unique tech-disco hybrid and will also be released with a remix from Amsterdam’s own multi-talented mad scientist San Proper. Heirlooms is a colorful, refreshingly varied departure from the everyday, rich with emotion and as deeply rooted as they come, offering yet another side of Dave Aju’s kaleidoscopic musical world to explore.